After an annoying two-week cold including a blocked nose, things finally cleared up so I can enjoy craft chocolate to the fullest again. About time, because I have a massive amount of bars waiting to be reviewed. Today we return to my favorite origin. Madagascar. Naive provided me with this gorgeous looking 85% bar, made from Criollo cacao from the Ambolikapiky plantation in Madagascar… By now I understand the better part of all the quality cacao from this region originates from this plantation owned by Akesson’s. It is great fun to discover the different approaches of the different chocolate makers when they use this cacao. The results are so different it is hard to believe they all use the same cacao. It really shows how a chocolate maker has a great influence on the final taste. Naive, based in Lithuania, by far a renowned country for chocolate, already succeeded in dazzling me with their products. The Dark chocolate with forest honey (also using Madagascan cacao) never ceases to impress me. It is that good. So it is with great expectations that I turn my attention to the bar on my table. The 30 gram bar looks modern and minimalistic. A dark band gives away we are dealing with an extra dark chocolate, the 85 percentage dominates the wrapper. I especially appreciate the extra info spread around to give you an instant idea of what lies ahead. A Madagascan, medium roasted criollo bar. Sounds divine to any chocoholic. Medium roasted means a lot of the inherent flavors of the cacao are preserved and should be detectable in the final product. 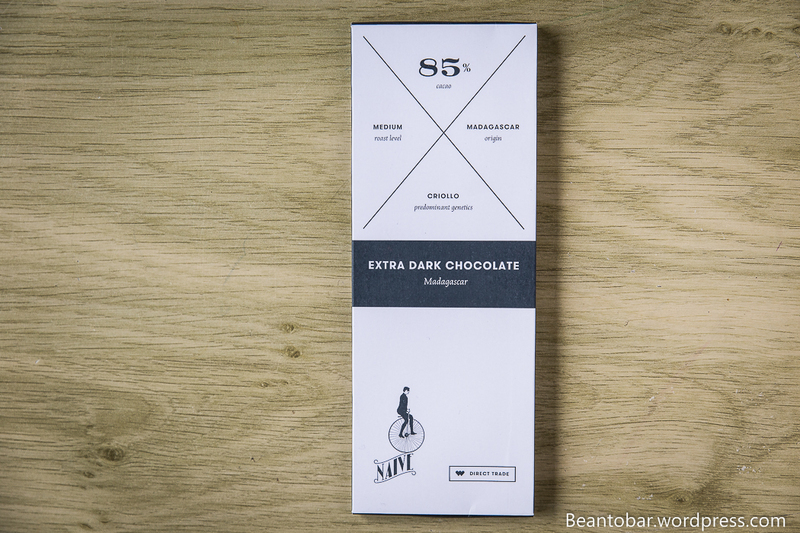 Open the package and you will find a thick silver foil hugging the bar itself. Out comes a piece of chocolate of perfect size. Not to big, just the right thickness and my oh my, does it smell amazing. But first take a look at all those perfect little rectangular pieces, deep and shiny. 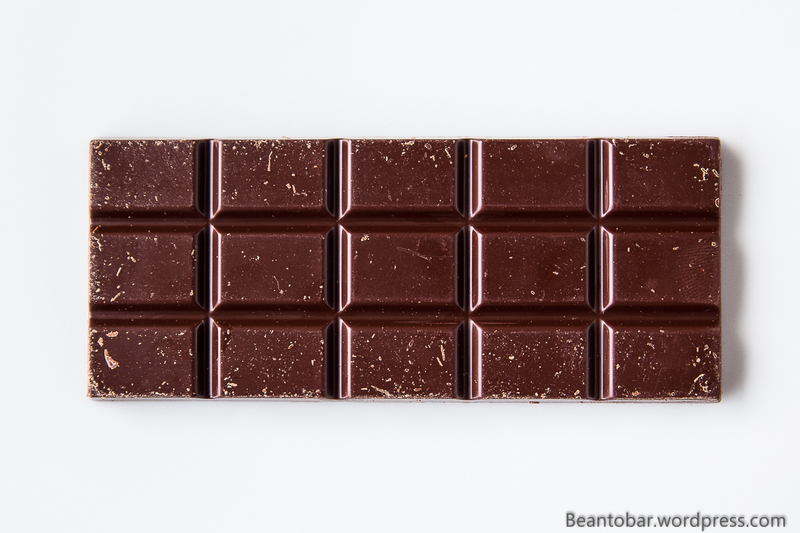 This little bar of chocolate takes my mind immediately to the Pacari bars. Color:A wonderful light brown, touching the color of a dark milk chocolate with the typical Madagascan red hue. Aroma: warm, powerful and surprising sweet, tobacco,toasted bread and a hint of red fruit. 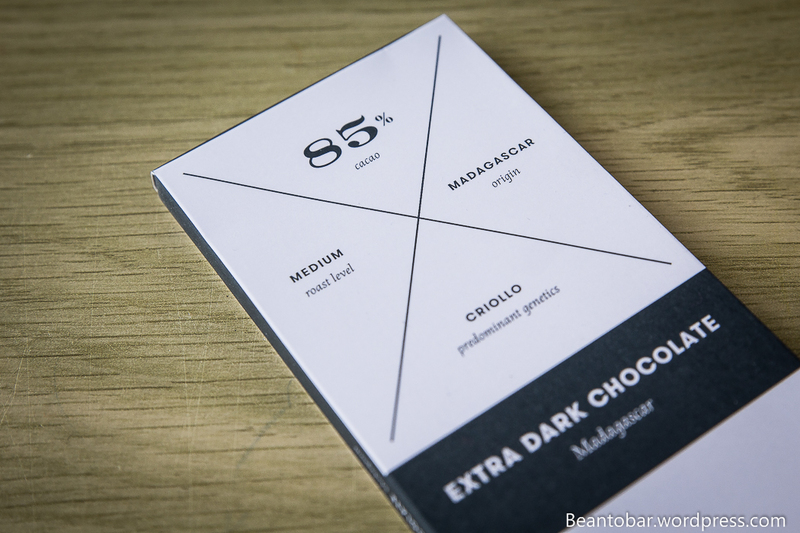 Taste: The chocolate starts medium quick and lets the Madagascan fruits pop from the very start. They actually took my by surprise. Lots of red currant and raspberry followed by pretty intense earthy flavors reminding me of raw cocoa. Every swirl of the tongue releases a new wave of fruits, followed by a woody interlude before jumping over to the earthy flavors and a remarkable fresh farmer’s cheese tartness. The texture is fresh and light on the palate. Not buttery at all, meaning Naive wasn’t tempted to calm down the powerful taste by adding too much cacao butter. It melts like a charm and releases a final warm vanilla tone before it is gone. The aftertaste carries on the earthy notes, is slightly smoky and reveals a nice cacao aroma and the reminiscence of the berry flavors. I’m impressed by the leap in texture Naive achieved compared to the bars I tasted before. 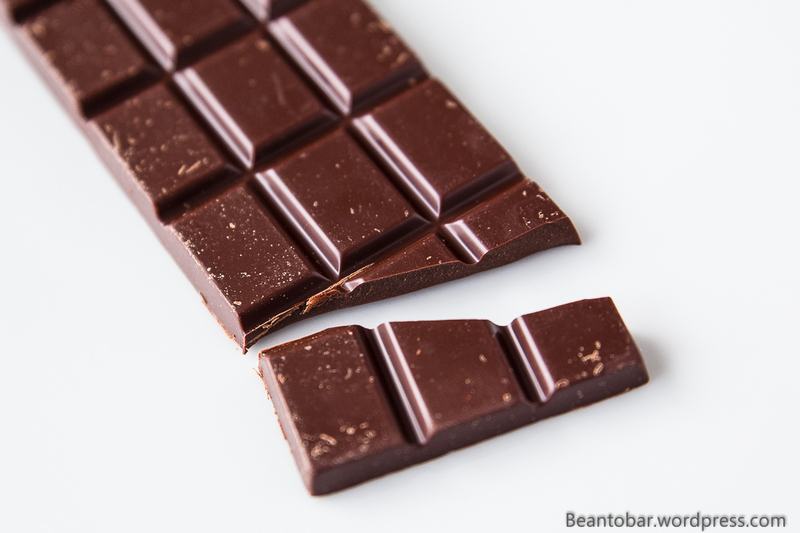 This chocolate has a pretty high percentage of cacao and certainly doesn’t go for an easy and mellow taste. You get the full power of cacao, rich and intense – combined with the typical Madagascan fruity acidity. It has the potential to scare of people who are used to the sweet industrial chocolate and try this without knowing what to expect, but you should definitely give it a try to experience wild and untamed Madagascan-origin chocolate!